With the conventional list layout, it is possible to organize products based on their categories. However, there is one catch. It is not possible to assign a product to multiple categories. Overcoming this, now we have the tag layout where it is possible for a product to be assigned to multiple categories. Create tags that you wish to link with the product. 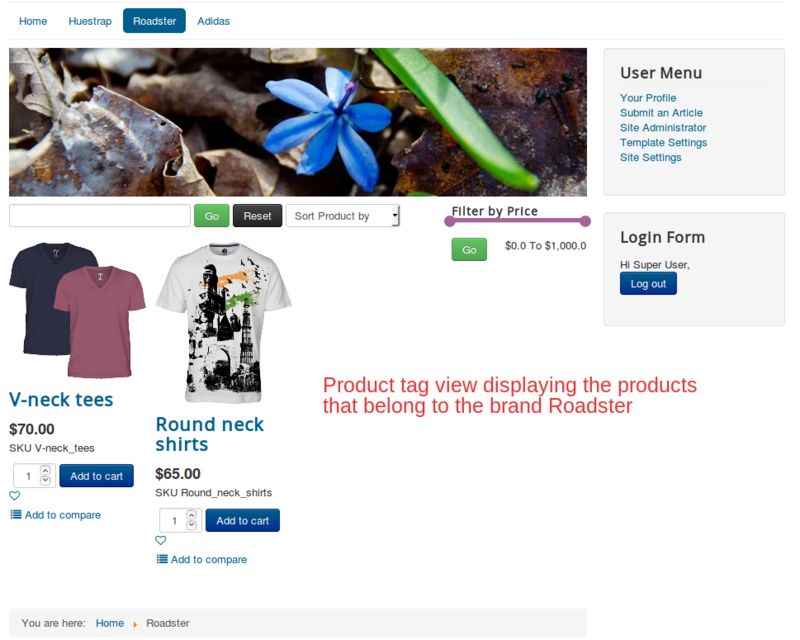 Create a product and add the tags to the product. Create menus and link the tags with the respective menus. Products like Coffee mugs should be available under two categories- Kitchen appliances and Gifts. Create two tags: Gifts, Kitchen appliances. 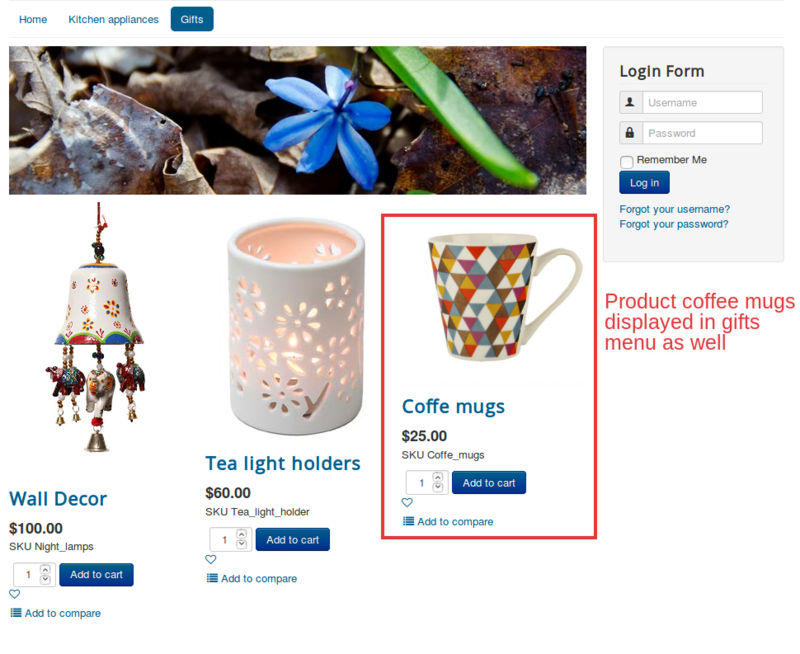 Create a product named coffee mugs. Assign both the tags to the product article. 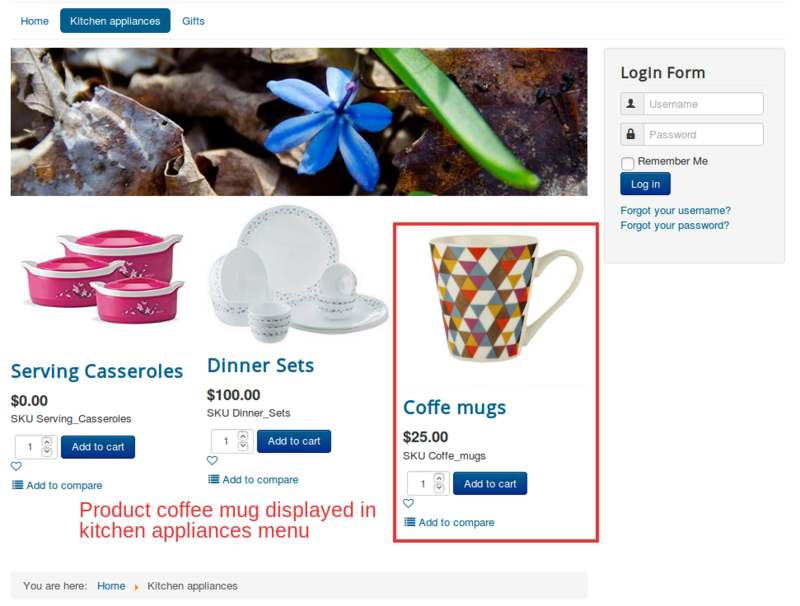 Create menu items of the type Product tag view: Kitchen appliances associating the tag kitchen appliancesGifts associating the tag Gifts. Now the product coffee mugs will be available in both Kitchen appliances and Gifts. Likewise, we can assign products to as many categories as we wish. Create tags with the brand name. 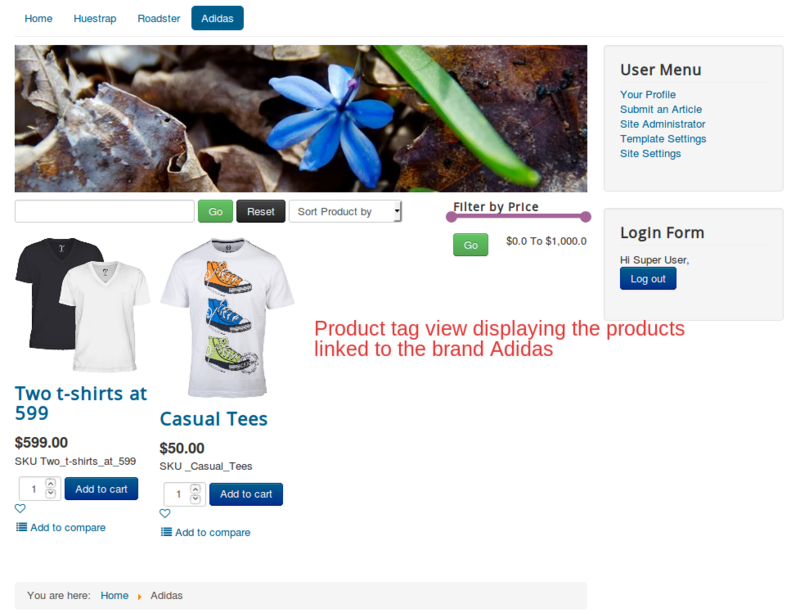 Create products and link them to their corresponding brands(tags). Create menu items of the type Tag view and associate the tags with them accordingly. Create tags of the name Huetrap, Roadster and Adidas. 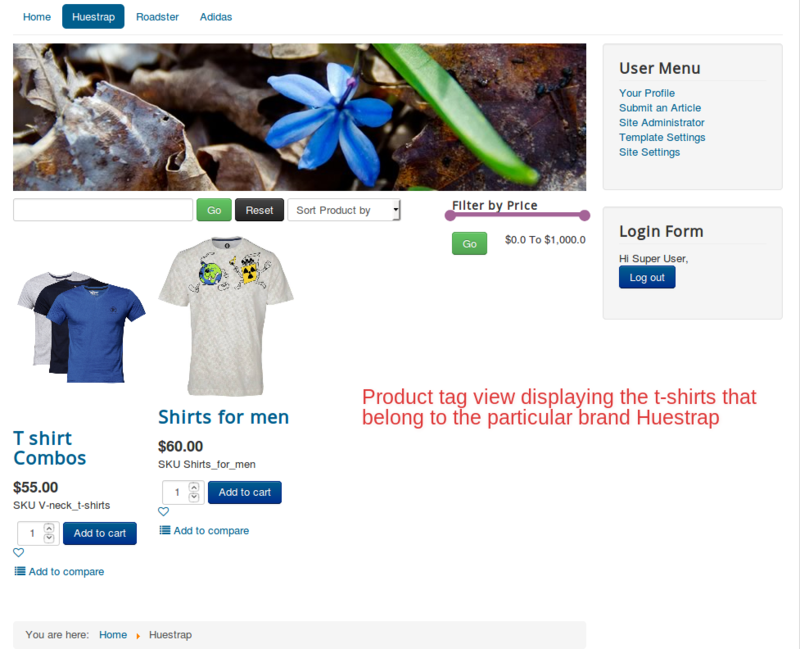 Create corresponding products and link them to the tag Huetap and repeat the similar process for other brands. Create menu items that associate with the brand tags respectively.